He was born on 7th September 1952 in Marano di Napoli (Italy) and was ordained priest on 18th September 1976. On 28th November 1998 he was elected Titular Archbishop of Montemarano and Apostolic Nuncio to Rwanda. On 6th January 1999 he was consecrated Bishop by Saint John Paul II, Pope. On 20th September 2003 he was appointed Apostolic Nuncio to Thailand, Cambodia, Singapore and Apostolic Delegate to Myanmar, Laos, Malaysia and Brunei. On 8th May 2010 he was appointed Apostolic Nuncio to India and Nepal. On 6th August 2016 he was appointed Apostolic Nuncio to Poland, concluding his mission in India and Nepal on 26th October 2016. He was born on 27th July 1953 in Barbastro (Spain) and was ordained priest on 15th June 1980. On 12th December 2002 he was elected Titular Archbishop of Agropoli and Apostolic Nuncio. On 6th January 2003 he was consecrated Bishop by Blessed John Paul II, Pope. On 8th February 2003 he was appointed Apostolic Nuncio to India and Nepal. On 10th December 2009 he was appointed Apostolic Nuncio to Canada. He was born on 29th September 1940 in Barga (Italy) and was ordained priest on 29 June 1963. On 15th January 1992 he was elected Titular Archbishop of Diocletiana and was appointed Apostolic Nuncio to Haiti. On 7th March 1992 he was consecrated Bishop. On 6th April 1995 he was appointed Apostolic Nuncio to Paraguay. On 19 June 1999 he was appointed Apostolic Nuncio to India and Nepal. On 12th November 2002 he was appointed Apostolic Nuncio to Brazil. On 11th January 2012 he was appointed Secretary of the Congregation for Bishops and on 7th March 2012 he was appointed Secretary of the College of Cardinals. On 21st September 2013 was appointed Secretary General of the Synod of Bishops and on 22nd February 2014 elevated to Cardinal by Pope Francis with the deaconal title of Saint Anselm. He was born on 15th February 1930 in Görlitz (Germany) and was ordained priest on 10th October 1955. On 5th February 1979 he was elected Titular Archbishop of Sesta and Pro-Nuncio to Zimbabwe and Malawi. He was consecrated Bishop on 24 February 1979. 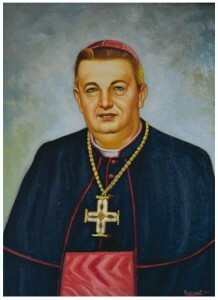 On 3rd May 1985 he was appointed Apostolic Nuncio to Paraguay. On 13th August 1990 he was appointed Pro-Nuncio to India and Nepal. On 7th December 1998 he was appointed President of the Pontifical Ecclesiastical Academy in Rome. On 29th January 2000 he was appointed Holy See Representative to the Russian Federation. On 8th October 2002 he was appointed Apostolic Nuncio to Austria, and resigned on 26th July 2005. He was born on 14th August 1926 in Novale (Italy) and was ordained priest on 26th June 1949. On 17th January 1976 he was elected Titular Archbishop of Amiternum and appointed Pro-Nuncio to Kenya. 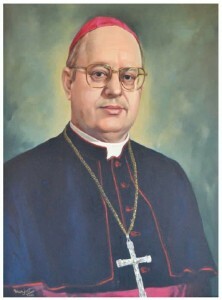 On 9th May 1981 he was appointed Pro-Nuncio to India and Nepal. On 13th June 1990 he was appointed Pro-Nuncio to United States of America. On 5th November 1998 he was appointed President of the Administration of the Patrimony of the Apostolic See. On 21st February 2001 he was elevated to Cardinal by Blessed John Paul II, Pope, with the title of the Saints Guardian Angels. On 1st October 2002 he resigned. He was born on 26th September 1926 in Pinasca (Italy) and was ordained priest on 29th June 1949. On 22nd November 1969 he was appointed Titular Archbishop of Tigimma and Apostolic Delegate. On 1st February 1970 he was consecrated bishop and on 24th December 1970 he was appointed Apostolic Nuncio to the Dominican Republic. On 30th June 1973 he was appointed Pro-Nuncio to Cameroun and Gabon and Apostolic Delegate to Equatorial Guinea. 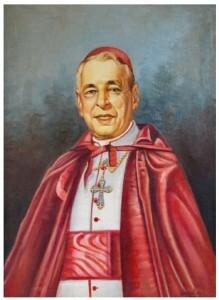 On 14 July 1976 he was appointed Pro-Nuncio to India. 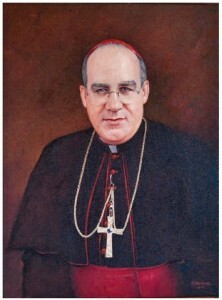 On 2nd February 1981 he was appointed Apostolic Nuncio to Venezuela. On 28th June 1990 he was appointed Pro-Nuncio to Greece. On 15th November 1995 he was appointed Apostolic Nuncio to Ireland. He died on 1st October 2000. He was born on 25th July 1912 in Clare Castle (Ireland) and was ordained priest on 7th March 1936. On 10 February 1962 he was appointed Titular Archbishop of Nicopolis ad Nestum and Apostolic Delegate to Thailand. He was consecrated bishop on 24 June 1962. 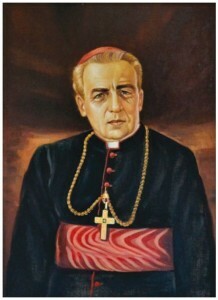 On 19th August 1967 he was appointed Apostolic Delegate to South Africa, and on 11th August 1971 Pro-Nuncio to India. On 11th June 1976 he was appointed Pro-Nuncio to Netherlands and he resigned in November 1978. He died on 30th January 1981. He was born on 10th May 1902 in Québec (Canada). On 15th April 1928 he was ordained priest in the Order of Friars Preachers. On 9th December 1935 he was appointed Bishop of Sendai (Japan) and was consecrated on 29th June 1936. On 16th January 1941 he resigned and was appointed Titular Bishop of Calydon. On 15th April 1945 he was appointed Bishop of Gravelbourg (Canada). 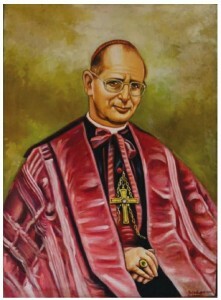 On 20th June of 1953 he was appointed Archbishop of Ottawa (Canada). On 16th September 1966 he was appointed Titular Archbishop of Saldae and Apostolic Nuncio to Haiti. 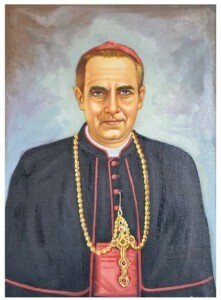 On 30th May 1969 he was appointed Pro-Nuncio to India. On 16th February 1971 he resigned, and died on 4th March 1994. He was born on 15th November 1914 in Lapio (Italy). He was ordained priest on 17th December 1938. 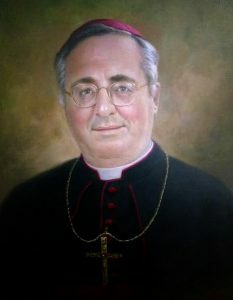 On 14th October 1961 he was appointed Titular Archbishop of Apollonia and was consecrated on 17th December 1961. In 1966 he was Apostolic Pro-Nuncio to China and on 22nd August 1967 he was appointed Apostolic Pro-Nuncio to India. On 19th April 1969 he was appointed Secretary of the Administration of the Patrimony of the Apostolic See. On 30th June 1979 he was elevated to Cardinal by Blessed John Paul II, Pope, with the title of Santa Maria Ausiliatrice in Via Tuscolana. On 1st July 1979 he was appointed President of the Administration of the Patrimony of the Apostolic See, and on 30th January 1981 President of the Prefecture for the Economic Affairs of the Holy See. On 14th December 1988 he was appointed Gran Maestro of the Equestrian Order of the Holy Sepulcher of Jerusalem. He died on 15th October 2005. He was born on 2nd March 1914 in Bayswater (Australia) and was ordained priest on 22nd December 1941. On 20th July 1953 he was appointed Titular Archbishop of Militene and was consecrated on 8th November 1953. 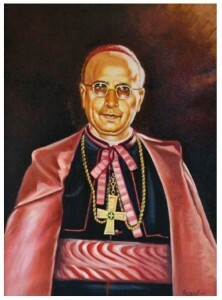 On 14th February 1957 he was appointed Apostolic Internuncio to India. On 13th April 1967 he was appointed Archbishop of Melbourne (Australia). On 5th March 1973 he was elevated to Cardinal by Pope Paul VI with the title of St. Maria in Vallicella. 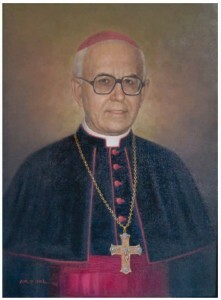 On 25th January 1974 he was appointed Prefect of the Congregation for Divine Worship and the Discipline of Sacraments. On 4th August 1981 he was appointed President of the Pontifical Council for the Family. He died on 26th June 1983. He was born on 16th October 1916 in Haarlem (Netherlands). He was ordained priest in the Society of the Divine Word on 26th October 1924. On 14th September 1945 he was appointed Titular Archbishop of Adulis and Apostolic Delegate to South Africa. He was ordained Bishop on 29th October 1945. On 3rd December 1952 he was appointed Apostolic Internuncio to India. On 1956 he was appointed Official of the Secretariat of State. Then, on 16th April 1959 he was appointed Apostolic Delegate to Scandinavia. He resigned in October 1961 and died on 3rd March 1969. He was born on 14th December 1882 in Baexem (Limburg-Netherlands). He was ordained priest in the Congregation of the Passion (Passionists) on 22nd December 1906. 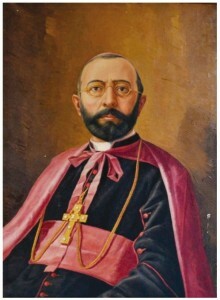 On 23rd March 1931 he was appointed Titular Archbishop of Salamis and Apostolic Delegate to India. He was ordained Bishop on 26th April 1931. 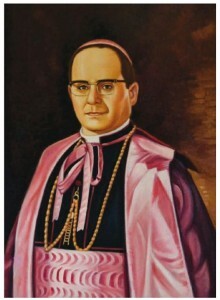 On 1st July 1948 he was appointed Apostolic Internuncio to India and brought the see to Delhi. He resigned on 29th June 1952 and died on 7th November 1957. He was born on 9th May 1882 in Mount Savage (Md – USA). He was ordained priest on 10th April 1909 in Cleveland. On 18th January 1926 he was appointed Titular Archbishop of Irenopolis in Isauria and Apostolic Delegate to India. On 31st January 1926 he was ordained bishop. On 30th March 1931 he was appointed Apostolic Delegate to Japan. On 28th August 1933 he was appointed Archbishop of Rochester (USA) and on 26th May 1937 Archbishop of Detroit (USA). On 18th February 1946 he was elevated to Cardinal by pope Pius XII with the title of Santa Susanna. He died on 25th October 1958. He was born on 15th July 1871 in Vercelli (Italy). On 15 December 1919 he was appointed Titular Archbishop of Constantia in Sythia and Apostolic Delegate to India. On 21st December 1919 he was ordained Bishop. 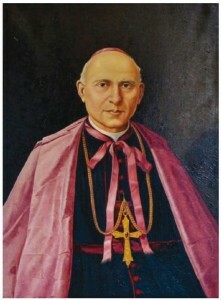 He was appointed official of the Roman Curia in 1924. He died on 16th February 1960. He was born on 4th September 1872 in Rome (Italy). On 17th April 1897 he was ordained priest. On 14th November 1916 he was appointed Titular Archbishop of Doclea and Apostolic Delegate to India. He was ordained Bishop on 10th December 1916. On 6 December 1919 he was appointed Apostolic Delegate to Japan. On 16th June 1921 he was appointed Secretary of the Congregation for Propagation of the Faith. On 14th December 1922 he was appointed Apostolic Delegate to the United States of America. 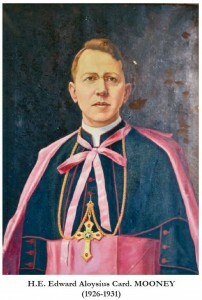 On 13 March 1933 he was elevated to Cardinal, and on 16th March of the same year he was appointed Prefect of the Congregation for the Propagation of the Faith. He died on 12th July 1960. He was born on 26th May 1852 in Veliuona (Lithuania). On 15th March 1892 he was appointed Titular Archbishop of Thebae and Apostolic Delegate to India. On 15th May 1892 he was ordained Bishop. On 7 December 1916 he was appointed Titular Patriarch of Antiochia. He died on 5th October 1925. He was born on 17th June 1849 in Rome (Italy). On 22nd September 1871 he was ordained Priest. 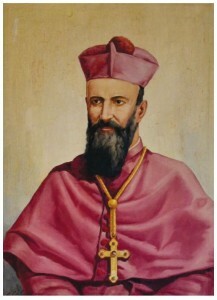 On 31st March 1887 he was appointed Titular Archbishop of Achrida and Apostolic Delegate to India. He was ordained Bishop on 1st May 1887. On 24th July 1891 he was appointed official of the Congregation for the Propagation of the Faith. On 7 June 1893 he was appointed Apostolic Nuncio to Germany, and on 17 June 1893 he was transferred to the Titular Archdiocese of Tamiathis. 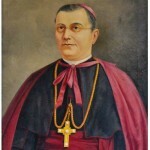 On 26 September 1896 he was appointed Apostolic Nuncio to Portugal. On 22 June 1903 he was elevated to Cardinal by Pope Leo XIII. On 12 November 1903 he was appointed, Cardinal-Priest of St. Girolamo dei Croati by St. Pius X, Pope, and died on 28th April 1905. He was born in Cologno al Serio (Italy) on 4th September 1832. On 22nd December 1855 he was ordained Priest in Rome. On 23rd September 1884 he was appointed Titular Archbishop of Caesarea in Palestine and Apostolic Delegate to India. 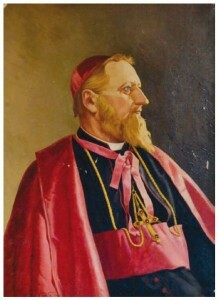 He was ordained Bishop on 12 October 1884. On 9th May 1887 he was appointed pro-Secretary of the Roman Curia, and on 6th October 1888 he was appointed Secretary of the Roma Curia. On 9th April 1889 he was appointed Apostolic Nuncio to Germany; then on 12th June 1893 Apostolic Nuncio to Austria. 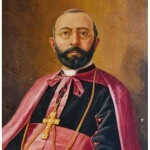 In 1896 he was appointed Official of the Roma Curia. On 22 June 1896 he was elevated to Cardinal by Pope Leo XIII. On 3rd December 1899 he was appointed Cardinal-Priest with the title of Saints Nereo and Achilleo, and on 14th December 1899 he was appointed Cardinal Bishop of Albano.On 22nd June 1903 he was appointed Cardinal-Priest of San Lorenzo in Damaso and, by St. Pius X, Pope, was appointed Chancellor of the Apostolic Chancery. He died on 19 March 1915.